The recently FDA approved MRI transport incubator allows safe intra-hospital, inter-departmental transport of the baby between any clinical departments and MRI. The system consists of a modular incubator, non-magnetic trolley, a battery backup power-supply box and space to accommodate four air/oxygen cylinders. Space to mount a transport/MRI ventilator and a transport/MRI monitor is also provided. The MRI incubator offers thermal regulation with air warming and allows skin temperature to be monitored at all times – during transport and the MRI exam. The modular incubator accommodates our MRI imaging device(s) for optimum safety and image quality. 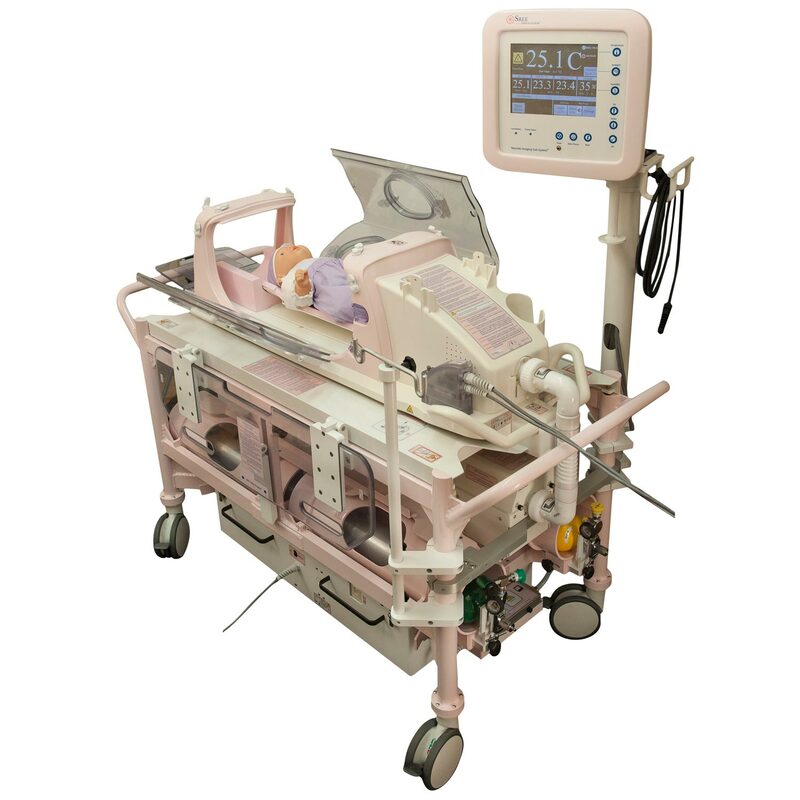 The incubator system can handle babies up to 4.5Kgs total body weight and 55cm overall height.